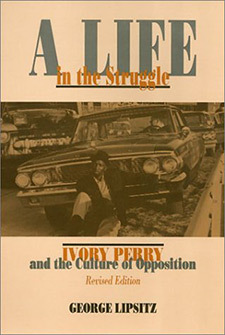 This book tells the story of Ivory Perry, a black worker and community activist who, for more than thirty years, has distributed the leaflets, carried the picket signs, and planned and participated in the confrontations that were essential to the success of protest movements. Using oral histories and extensive archival research, George Lipsitz examines the culture of opposition through the events of Perry’s life of commitment and illumines the social and political changes and conflicts that have convulsed the United States during the past fifty years. George Lipsitz is Professor of Ethnic Studies at the University of California, San Diego. The author of six books, he most recently published Rainbow at Midnight: Labor and Culture in the 1940s. "The Possessive Investment in Whiteness (1998)"